Anyone thinking of getting away later on in the year for some winter sun? 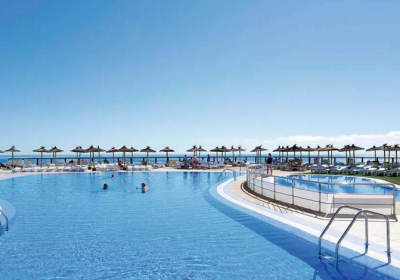 Thomson Holidays are perfect for picking up great deals, have a ganders at this cheap week in Tenerife for as little as £193 each !! You get a two-for-one kind of deal at the Aguamarina Golf Apartamentos, because you’ll also have access to the facilities and activities at the sister hotel next door. 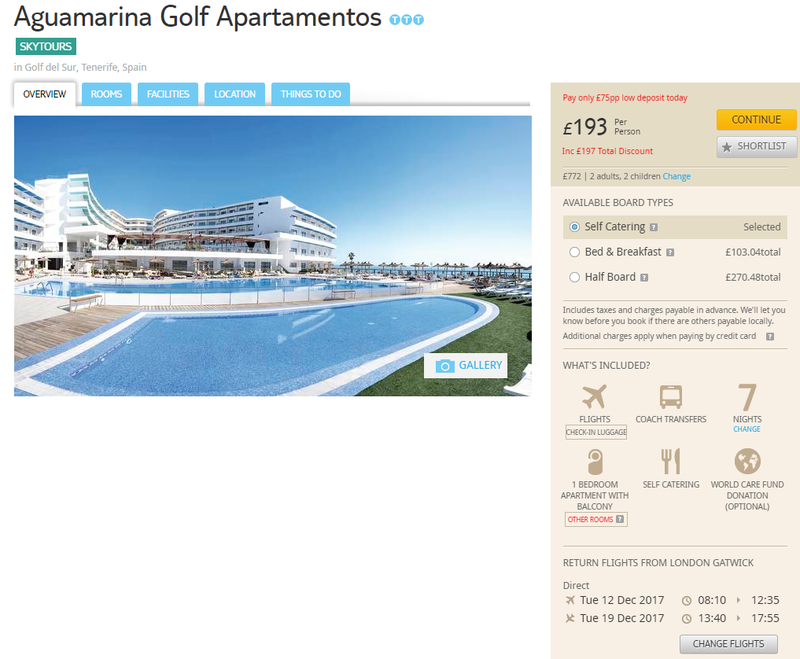 The Aguamarina Golf Apartamentos is in a coastal spot, so views of the sea are a given. And the hotel’s shuttle bus will take you to Los Cristianos, where there’s a big family-friendly beach. All rooms come fully equipped with a kitchen. You’ll get a hob, a microwave and a fridge. If you’d rather eat out, there are lots of restaurants within five minutes’ walk. Hi do you have holiday for 2 adults later in year to tenerife please. Where in Scotland are the flights from ?